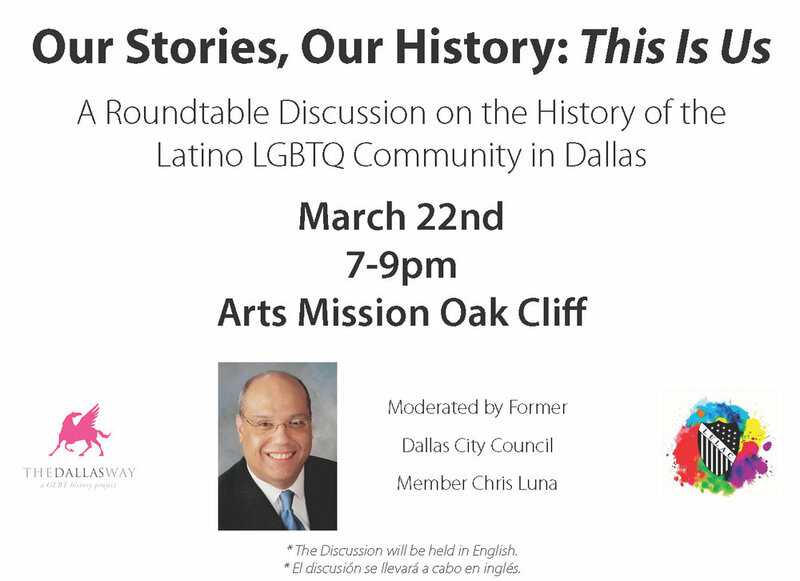 Join us for a conversation about the history of the Latino LGBTQ community in Dallas, presented by The Dallas Way and LULAC Dallas Rainbow Council #4871, and moderated by former Dallas City Councilmember Chris Luna. A panel of leaders and members of the Latino LGBTQ community will tell their stories and share their thoughts on this important piece of Dallas History. El discusión se llevará a cabo en inglés.